Fleck 9100 Twin Sulfur Removal Systems 1-888-929-9907. Fleck 9100 Twin Sulfur Removal Systems regenerates immediately when needed for continuous soft water. System regenerates with soft water keeping system clean for optimum operating efficiency and minimum maintenance. 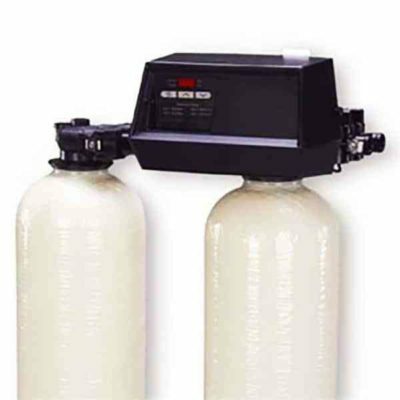 Fleck 9100 Twin Sulfur Removal Systems has fiber-reinforced polymer valve body for superior strength and durability, non-corrosive, and UV-resistant. Continuous service flow rate of 20.1 GPM with a backwash of 8.5 GPM. 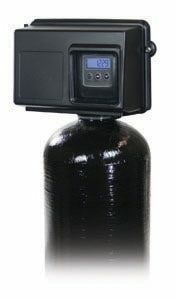 Backwash capability accommodates softener tanks up to 16.” Fully adjustable 5-cycle control for efficient and reliable water treatment system. Time-tested, hydraulically-balanced Fleck 9100 Twin Sulfur Removal Systems piston for service and regeneration. Rugged-built electromechanical timer designed with heavy duty 3/8? wide plastic gears. Salt and water savings by using 100% capacity of the tank in service before switching to the second tank. 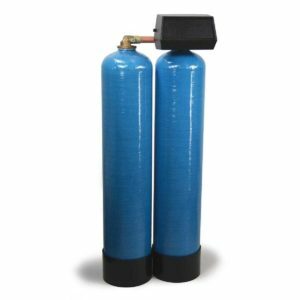 Fleck 9100 Twin Sulfur Removal Systems regenerates immediately when needed for continuous soft water. System regenerates with soft water keeping system clean for optimum operating efficiency and minimum maintenance.